Back in June we made the most of having the rental car by driving around and visiting various places. 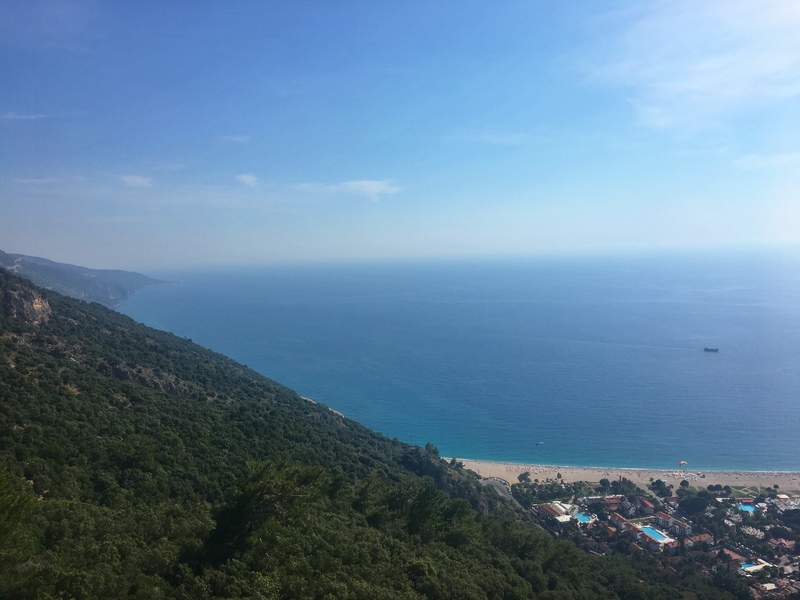 One of them being the look out point at the start of the Lycian Way, over looking Ölüdeniz. We drove a little way up the mountain road, parked up and walked for about 5 minutes to the look out point, passing an old abandoned tent on the way! 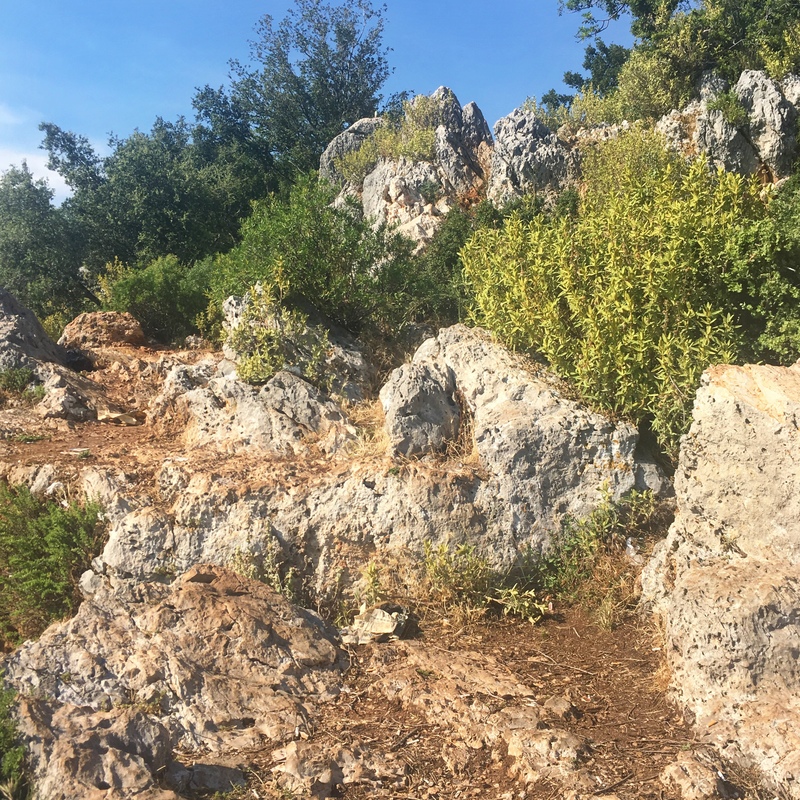 It involves climbing up a few rocks and it’s steep and bumpy under your feet so you need to wear decent shoes, not flip flops! We went on a particularly hot day and thanks to my Fit-bit, I could see my heart rate rising a lot, it was quite hard work in the heat! 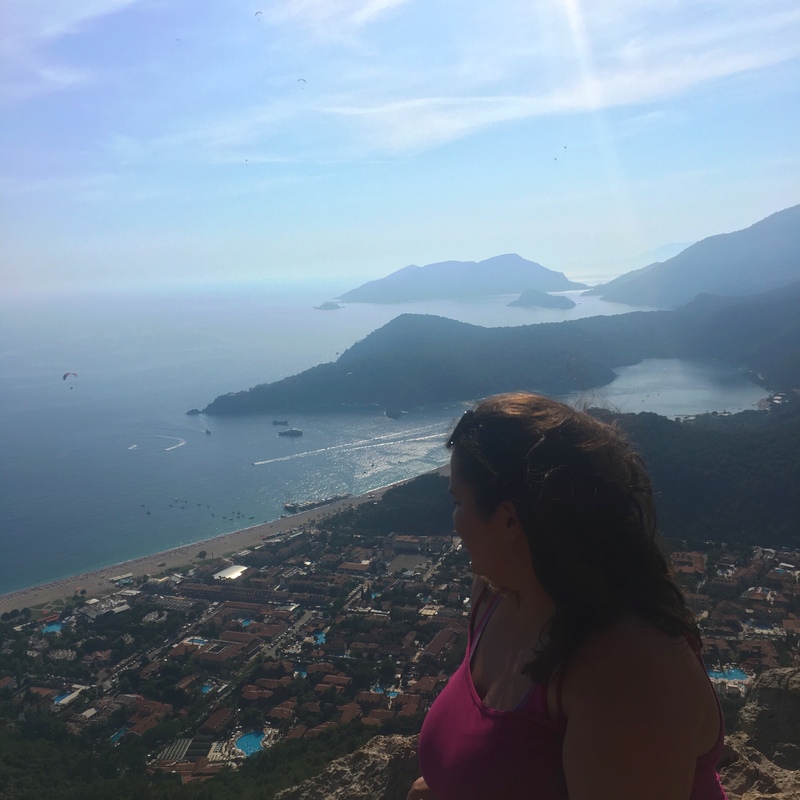 I’ve never really been a fan of Ölüdeniz, controversial I know! At ground level, I don’t think its that impressive, but from above it’s really stunning. Because it was so hot the day we went, it was very hazy so my photos aren’t the clearest, and they were only taken on my phone, but I have taken higher quality, better ones on my camera before and posted them HERE a few years ago if you want to take a look. Photos don’t really do it justice though! The view of the lagoon is lovely, and the sea to the left hand side is an impressive shade of blue. 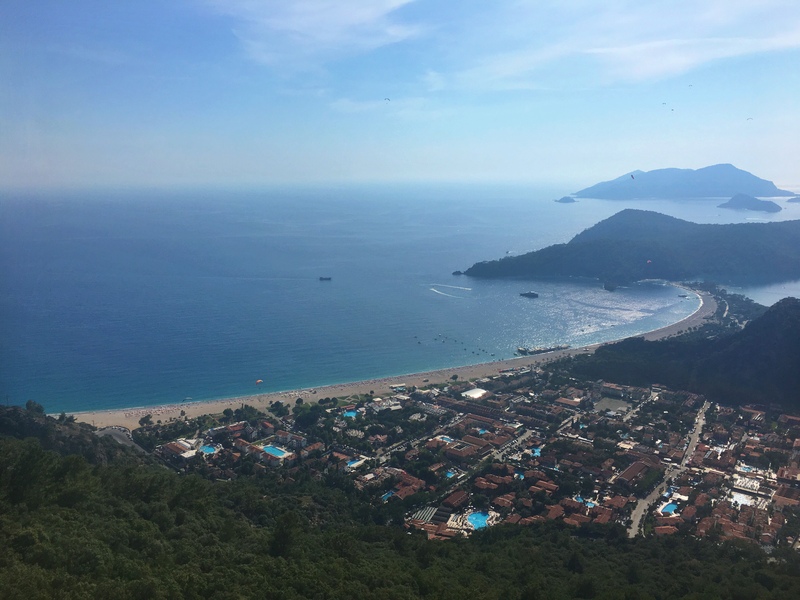 You can hear people playing in the swimming pools at the various hotels at the foot of the mountain, watch the boats sailing, or people walking along the beach. I love the mountains in the distance too, just a shame it was hazy. Of course, as with most patches of natural beauty, human interference has had an impact. 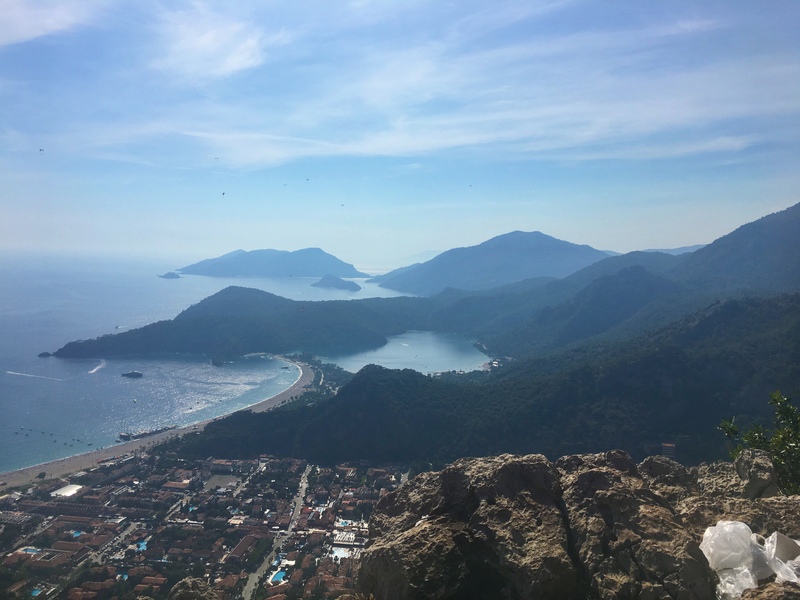 While trying to enjoy the view, we couldn’t not notice the amount of rubbish in the area – carrier bags, beer bottles, cigarette packets, food packets, water bottles, and the charred remains of various fires people had lit for BBQ’s! 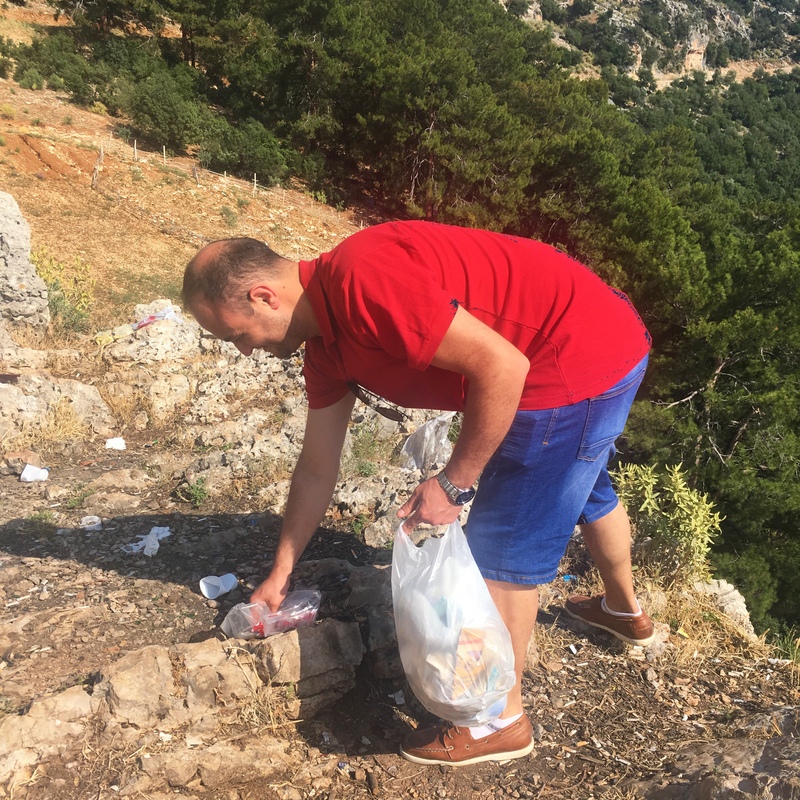 It really spoiled it, and Berkay decided to do his bit and went around with a couple of empty bags collecting a lot of the rubbish up… It’s sad everyone doesn’t take their own rubbish with them! You can access the road leading up to the look out point by foot or by car, but you have to walk the last little bit. 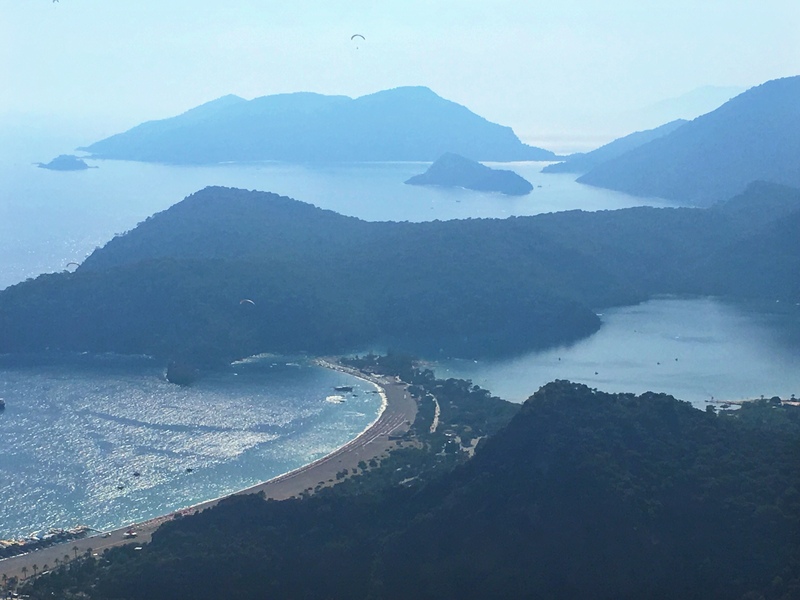 It’s worth the effort for the view, and nice to see Ölüdeniz from a different angle. 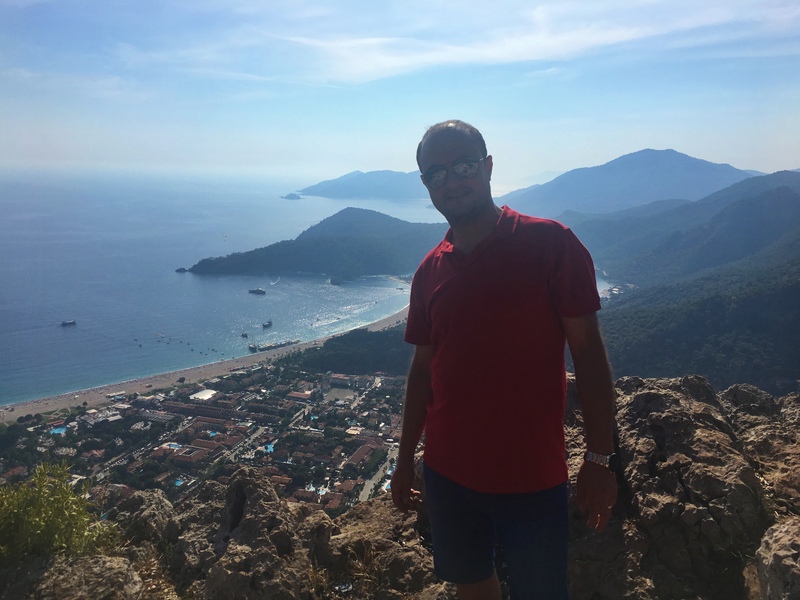 ← Köyceğiz – Peaceful, Beautiful, lakeside views.